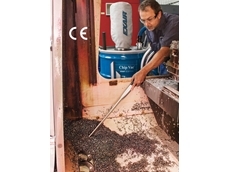 The new EXAIR heavy duty HEPA vac attaches to an ordinary 205-litre open top drum to turn it into a powerful, HEPA quality industrial vacuum cleaner. 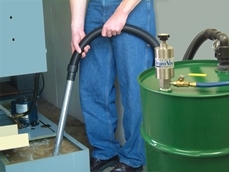 Designed to move more material with less wear, the compressed air powered heavy duty vac has been engineered to filter contaminants to HEPA requirements in dusty environments requiring frequent cleaning. 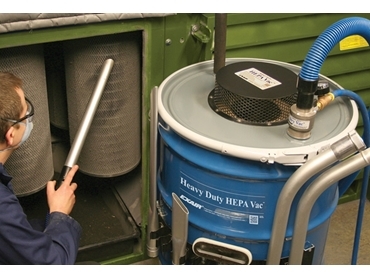 The EXAIR heavy duty HEPA vac delivers quiet operation and powerful cleaning performance. 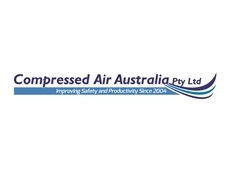 Available from Compressed Air Australia Pty Ltd , the heavy duty HEPA vac system comes complete with the heavy duty dry vac, lever lock drum lid, shutoff valve, pre-filter, HEPA filter, 3m static resistant hose, hose hanger, ½” quick connects coupling, 6m compressed air hose, pressure gauge, and aluminium chip wand (drum not included). 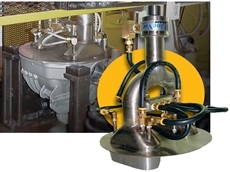 Deluxe systems that include a drum dolly are available.